CHICAGO (WLS) -- Bulls fans across Chicago are gearing up for Game 4 in the team's playoffs series against the Cavaliers Sunday afternoon. The end of Game 3 brought many fans to their feet Friday as guard Derrick Rose fired a three-pointer at the buzzer for a 99-96 win. 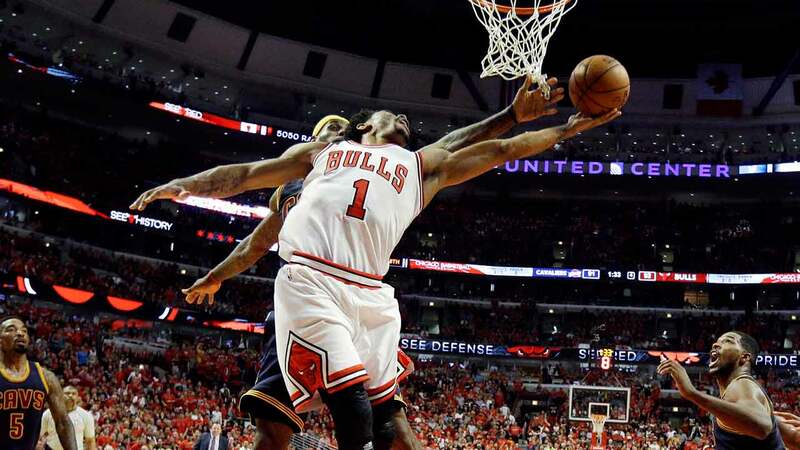 Rose had 30 points in addition to seven rebounds. The Bulls now lead the series 2-1. "It was back and forth throughout the entire game so that was a really exciting game to watch," said Peter Arboleda, a Bulls fan. Bulls forward Pau Gasol will miss Sunday's game because of a strained left hamstring. Coach Tom Thibodeau said Sunday the five-time All-Star was still sore and remains day to day. He said he is not sure if Gasol will be ready for Game 5 on Tuesday at Cleveland. Gasol left Friday's game and an MRI showed no major structural damage. Taj Gibson was in the lineup in his place. A two-time champion with the Los Angeles Lakers, Gasol averaged 18.5 points and 11.8 rebounds after signing with Chicago last summer. At 34, he led the NBA with a career-high 54 double-doubles. Already sporting their Bulls gear, some patrons of the Palace Grill in the Near West Side talked about the series. "It's a really exciting time for the Bulls and for all the fans," said Christina Lemperis, Palace Grill manager. "That last score that D-Rose got was amazing! Everyone was so excited, it was just unreal. It's a really great time to be a Bulls fan." Tipoff will be at 2:30 p.m. on ABC7.